As part of my series Tips for Families Expecting a New Baby, today I am sharing five ways to keep the housekeeping under control. With the aches and pains of pregnancy or a new baby in the house, there are sleepless nights, new routines, and lots of extra emotions rolling around, so having a few plans in place to organise the household duties can really reduce the stress. 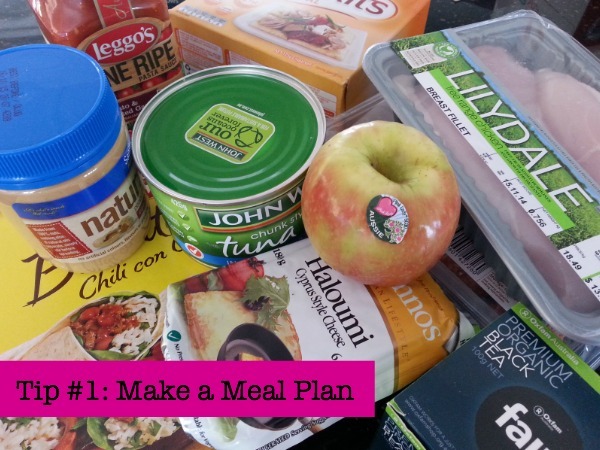 Meal planning has saved me so much time when deciding what we are going to eat and what I have to buy each week. There are so many ways to plan meals – some people swear by a rotating fortnightly schedule, for others “once a month cooking” is a favourite method. I personally have settled on having one protein each day of the week and building our main meal (dinner) around that. For example, we’ll always have a “chicken night” one day of the week but sometimes it will be stir fry and other times it will be grilled kebabs. Just having a meal plan (which is really a list) of our dinner proteins, common lunch items, and our four staple breakfast items helps immensely. I don’t have to think too much about the specific meals but simply go down our big list to make my weekly shopping plan with basic items — then I can get creative on the day depending on what we feel like. I also have a list of favourite dinners (separated by protein) to look to for inspiration if I need it. Related to the above, I do most of our grocery shopping online. Where I live, it costs less than $8 (exact cost depends on the day and time) to have groceries delivered to my kitchen bench. For me – being pregnant and with a large set of stairs at the front of our house – the price is totally worth it. I don’t have to drive and park, take my kids on lengthy shopping trips, wait in lines, unload my car, or carry everything up the stairs and into the kitchen. Online shopping is actually a huge sanity saver for me – sitting in my own house with a snack and knowing we’ll have what we need delivered the next day is awesome! I also do a lot of houseware and gift shopping online, because it allows me plenty of time to browse (child free) and I can also look over reviews from other customers, ratings, and compare prices more easily. I was recently invited to trial OZSALE which is a fabulous website for finding great deals on a huge range of products, from clothing and shoes to toys, household items, beauty products, and more. I was very impressed by the discounts offered on the site. I even saw a few products I had purchased recently at a reduced rate! Every week the products offered are changed so there is a constant variety. To visit and see what they have on sale this week, click here. When I was growing up my mother always had a stash of cards and presents hidden away in her closet which she would pull out any time we needed to give someone a gift. 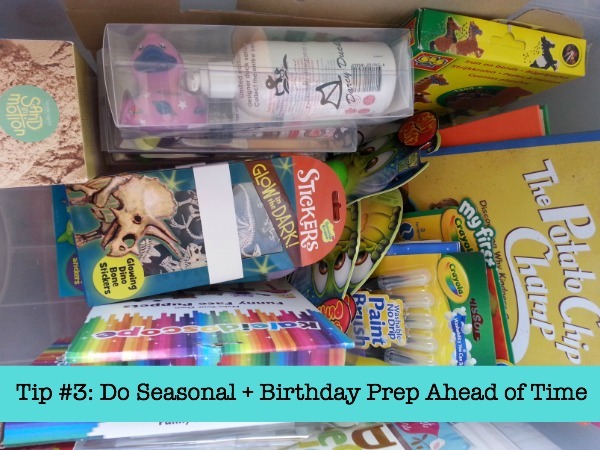 When my boys got old enough to attend birthday parties I started my own collection of “gift supplies.” I have one container of presents for friends and extended family members, and one box especially for my own children. Sometimes I find an amazing sale on an educational game or a book I know my kids would love, but their birthday is several months away… so having this special area to store the gift allows me to prepare ahead of time (and probably also saves me money as I’m not in a rush to find something!). I find that just adding items whenever I happen to see them online or in the shops really takes away the pressure from the days leading up to birthdays and holidays. I almost always have a few gifts for any person at any given time. Same goes for birthday presents for my children’s friends. 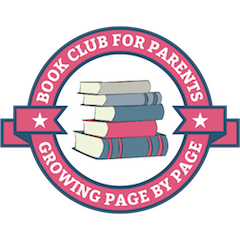 I have a few generic items I have bought on sale (like bubble bath and sticker books) which I combine with a more personal present to suit the child’s interest such as a storybook or craft kit. Depending on your location, at some point during the year you may need to prepare for an emergency snow storm or flood. Whatever the natural disaster may be, having an emergency kit already prepared will reduce your stress when/if an unexpected emergency situation does strike your city. Your local government may have a list of items they recommend, but usually these include bottles of water, candles and matches, blankets, and non perishable food. 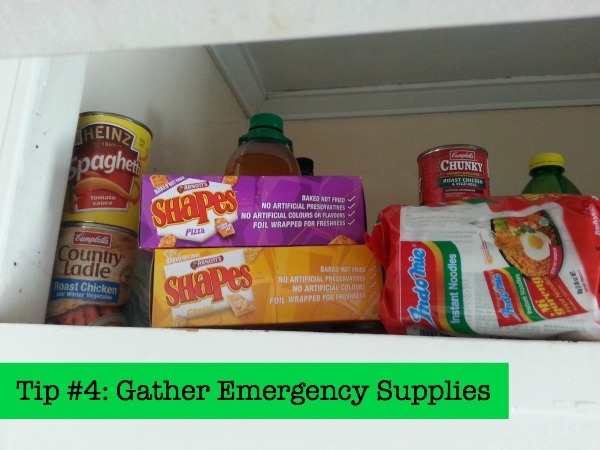 I always keep our emergency stash of food well stocked as I have also used it a few times when I simply felt too sick to do the grocery shopping as planned. Our box includes items like canned fruit, two minute noodles, several packs of crackers, juice, cans of soup, etc. In the kitchen I also make sure I have powdered milk plus a loaf of bread in the freezer. This just helps me keep everyone fed if I’m having my own little emergency. A few times a year it really comes in handy! 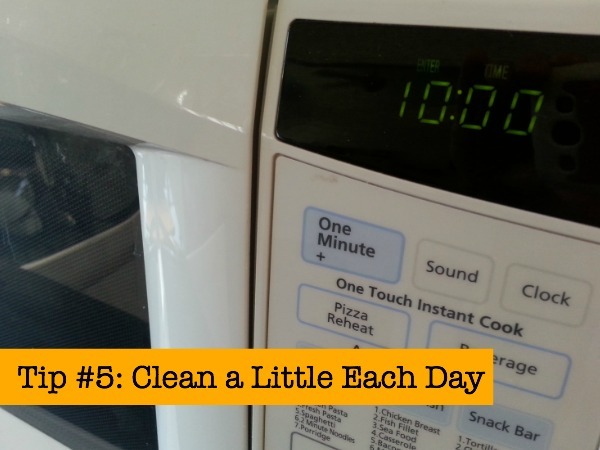 I have discussed this strategy on the blog several times before (like in this post) – but I am a big fan of setting the timer for ten minutes to get some house cleaning done. I find that if my entire lounge is messy… couch cushions made into a fort, matchbox cars all over the place, dishes on the table, a craft project lying around, etc… I can still usually clean it all up in less than ten minutes. I almost always have a few minutes leftover to do something like start the dishwasher or move a load of laundry from the washing machine to the dryer. Giving myself an achievable deadline (and letting the kids know that the timer is on, and I’m busy until they hear the beep) works wonders. It also allows me to give them my full attention once my ten minutes is up. If I set the timer two or three times throughout the day, I can get a lot of chores done! What makes your life as household manager easier? Do you have secrets to share? Thank you to OZSALE for giving me a voucher to experience purchasing products from their website for this review. All opinions in this post are my own. To read more about advertisement on my website, visit this page. 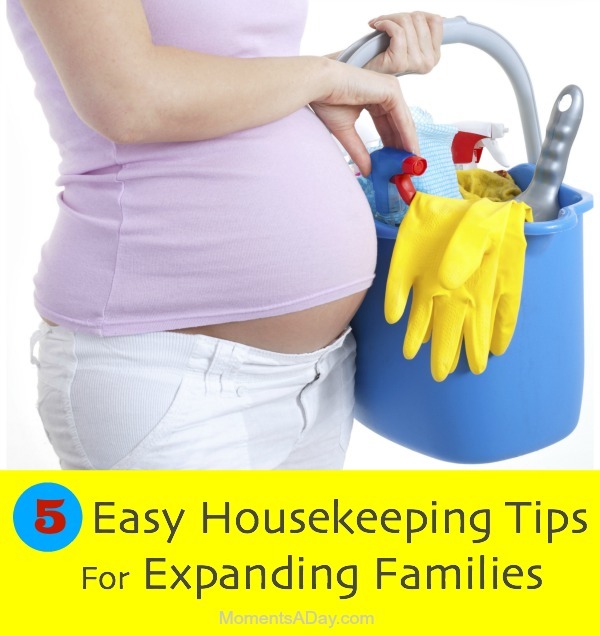 Excellent tips for the expanding family and the one that’s already expanded enough he he.